WHEN CHINA SNEEZES, U.S. STARTS TO GET A COLD: STARBUCKS THE NEXT AMERICAN GIANT AFTER APPLE TO SUFFER WEAK SALES IN WORLD’S BIGGEST MARKET? Apple – America’s first trillion-dollar company – is now worth only US$720 billion. The technology giant recently revised its first quarter sales forecast downward, blaming the global economic slowdown, Trump’s trade war and a slowdown in the Chinese market. CEO Tim Cook should blame the company itself instead for greedily raising the iPhone prices. Now, the company’s business in China is so desperate for sales that its latest iPhone models are being dumped with huge discounts in China as retailers try to sell the struggling overpriced gadgets. The tipping point has been reached where consumers think the premium smartphone is too expensive and lack innovative features compared to local competitors like Huawei. One retailer reportedly slashed the price of the 128GB version of the iPhone XR from 6,999 Yuan (US$1,036) to 5,799 Yuan (US$858) – a 1,200 Yuan (US$178) discount. One seller cuts the price of Apple’s most premium devices, iPhone XS Max 256GB, to 9,699 Yuan (US$1,436). Another Apple re-seller gives 700 Yuan off for both the 128GB and 256GB versions of the iPhone XR. However, Apple is not the only American company in China that is affected by the Middle Kingdom’s economy. Starbucks could be next, according to Goldman Sachs. The world’s largest coffee seller was downgraded to neutral from buy on Friday. Like Apple and McDonald’s, the concern about slowing consumption in China was the main reason Starbucks was downgraded. 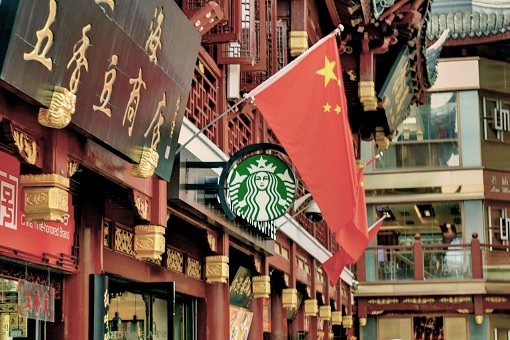 Currently, Starbucks has about 3,600 stores in China and plans to double that number in the next 4 years. Scheduled to report its earnings on Jan 24, the results will confirm if Starbucks is about to suffer the same problem as Apple in China. 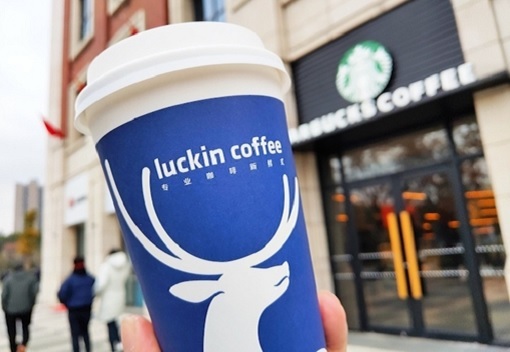 And like Apple’s competitor Huawei, Starbucks faces its Chinese competitor – local coffee start-up Luckin. Luckin is aiming to open 2,500 new stores this year in an ambitious plan to overtake Starbucks as the largest coffee chain by number of outlets in the world’s second-biggest economy. The Chinese coffee start-up, which only officially launched its business at the start of last year, has expanded at lightning speed to compete with Starbucks. Luckin’s chief marketing officer, Yang Fei, said – “What we want at the moment is scale and speed. There’s no point talking about profit.” The strategy appears to be giving a heavy discount even if it means making a loss. The objective was to lure in more consumers for the next few years. In fact, the company is looking at taking over the throne from Starbucks this year. 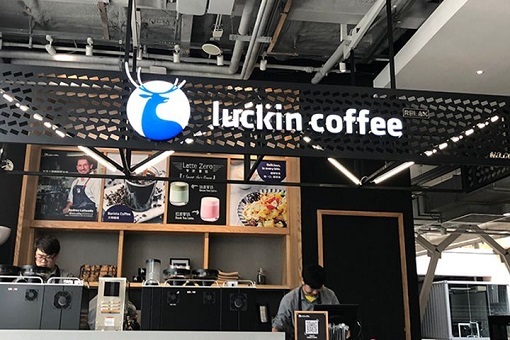 Yes, Luckin said it was targeting a total of more than 4,500 stores by the end of 2019, which would take it past Seattle-based Starbucks that has long dominated China’s premium coffee market. 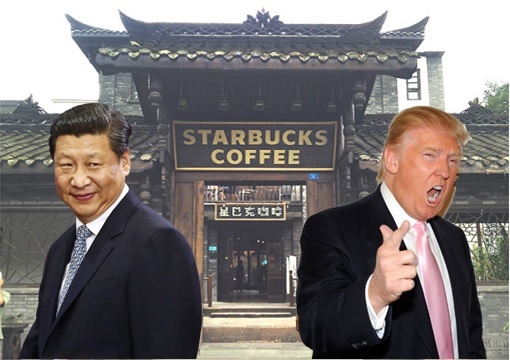 In comparison, Starbucks, which opened its first China store in 1999, has spent two decades reaching its current store count. Luckin, backed by Singapore sovereign wealth fund GIC and China International Capital, opened more than 2,000 locations last year, gaining a valuation of US$2.2 billion after raising US$200 million. The coffee seller recorded a loss of 800 million Yuan ($116.34 million) last year, in line with the company’s expectations as it pushed to expand. Sure, Luckin could go bust as it burns money to capture the market. However, even if it eventually goes bankrupt, its aggressive marketing plan would certainly give Starbucks a run for its money. Starbucks has already started offering delivery service, partnering with “Ele.me”, from 2,000 of its stores in 30 cities in China when it launched Virtual Starbucks Store in partnership with Alibaba Group. Starbucks’ chief financial officer Patrick Grismer revealed last month that its same-store sales growth in China could be as low as 1% over the long-term. That’s slower than the 3% to 4% growth seen in the U.S. and the rest of the world, hence the fears that Starbucks may follow Apple’s footstep after the iPhone maker gave a lower guidance. It didn’t help that anti-US sentiment is growing among Chinese consumers, thanks to escalating trade war between both nations. McDonald’s has already seen their sales slowing in the kingdom where fast food chains like KFC and Burger King fighting tooth and nail for market share. Chinese nationalism forces consumers to simply switch to competitive local brands.